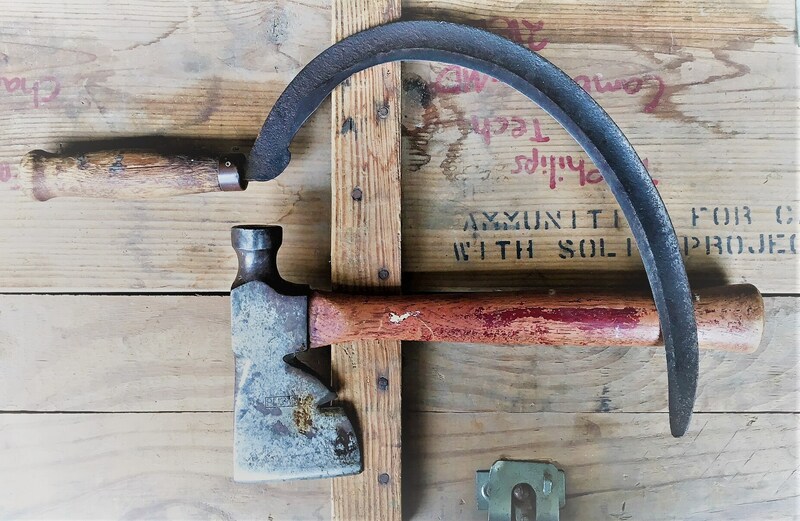 Featured is a nice vintage tool combo. 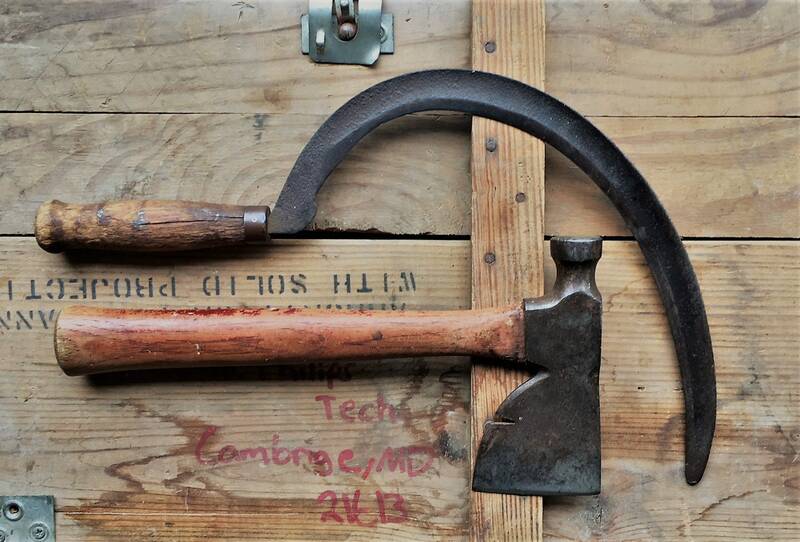 It's an old hand sickle or harvesting tool and an old carpenter's or roofing hatchet. Both are in need of sharpening and show their age. That's the character I love in pieces like these. Wonderful for decor items or rounding out the farmhouse motif. They would look great on a pegboard too. Both pieces for one low price.